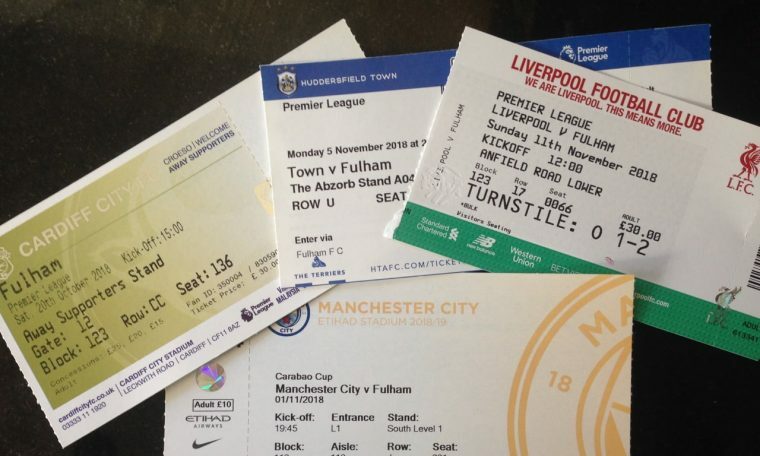 One of the subjects that the FST has raised frequently in recent meetings with the Club is ticket arrangements for away matches and, in particular, ensuring that all Fulham fans get the best opportunity to support the Whites in comfort. Whilst it is still not possible for fans to select their desired seat online we have discussed other ideas to allow away supporters to make informed seating choices. These include the provision of more information on an ongoing basis as to the order of sale of blocks and rows and also the consideration of reserving areas of seating for those who either cannot or prefer not to stand. Despite regulations stipulating that supporters are expected to remain seated, we recognise that many fans do choose to stand during away matches and with a larger away following in the Premier League this has presented difficulties for those who are unable or unwilling to do so. We recently asked the club to consider adopting a model used at other clubs such as Watford who reserve seats towards the front of away allocations specifically as ‘non-standing seats’. The Club have listened to our proposals and have agreed to implement this starting with the games at Old Trafford and Stamford Bridge in December. The seats in question will be available to buy over the phone and we would request that only supporters who wish to remain seated throughout the game use this facility. The Trust believes this is a big step forward and a positive outcome from the structured dialogue between the Club and the FST. We will monitor the ‘non-standing seat’ initiative and will continue to work with the Club on other ideas aimed at improving the match day experience at both home and away matches. We would be delighted to hear any feedback fans may have as this scheme is rolled out. If you are not yet a member of the Fulham Supporters’ Trust please do join us to help amplify the voice of the supporters.